The rumour mill has been going a while, but now it’s unfortunately official. 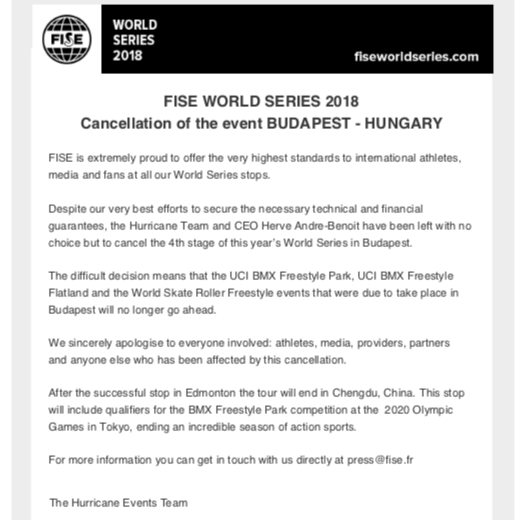 The Fise World contest scheduled for Budapest in September is cancelled. The final round will take place in Chengdu, China, read the official statement above.